Have you become bored and frustrated with your old, tattered black bomber jacket? 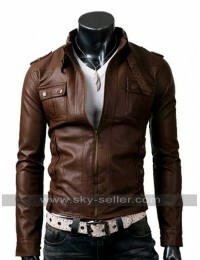 Do you want something that is stylish and fashionable and also very eye catching? 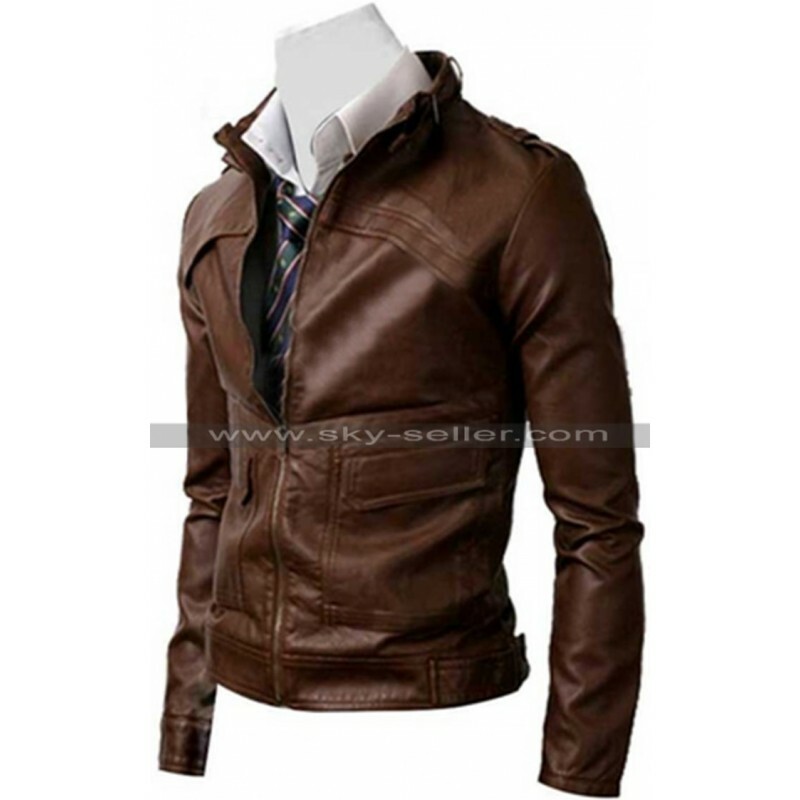 If yes, then look no further than this Brown Zipper Strap Leather Jacket designed to give a big boost to your personality. 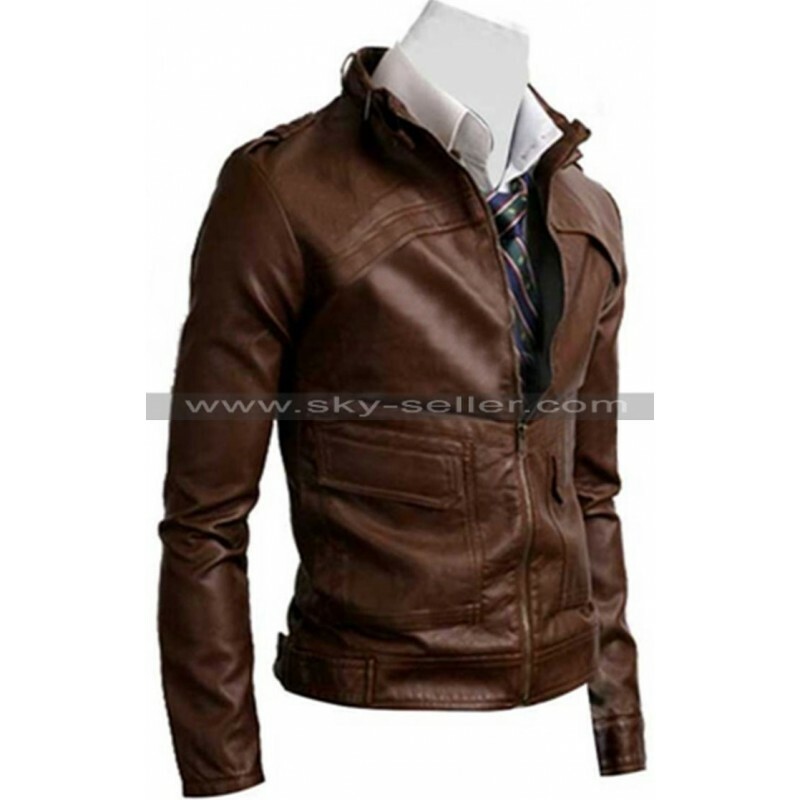 This brown leather jacket has a slim fit design that is capable of giving you looks of a celebrity. It is a marvel of craftsmanship that can easily set you apart from all your friends at a social gathering. 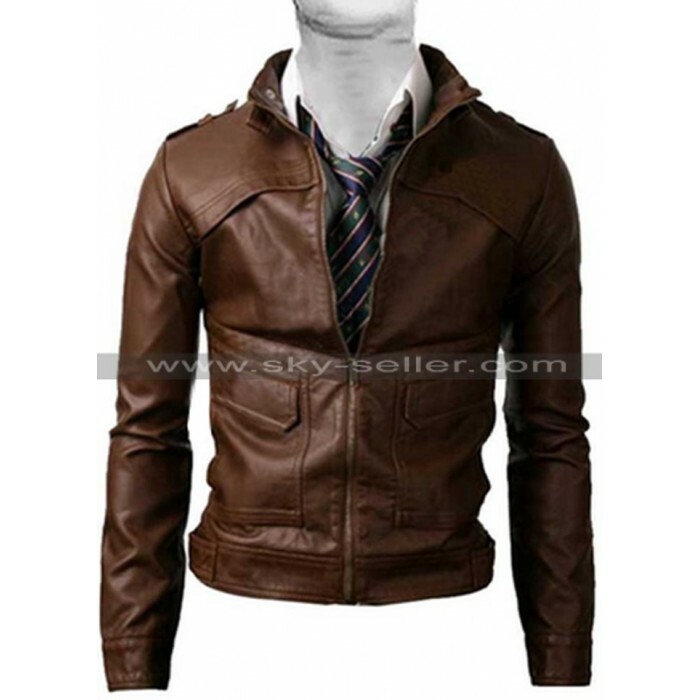 Buy this brown leather jacket if you are really desirous of hogging the limelight at a function.